Liverpool have reportedly outlined their intentions to move for Xherdan Shaqiri after the World Cup, according to The Express. The Reds have allegedly earmarked Swiss forward Xherdan Shaqiri as their top summer transfer targets. The Merseyside giants will make the Stoke forward their 2nd summer acquisition following the FIFA World Cup. Liverpool are in the market to re-shape their attacking options in the summer transfer window ahead of next campaign. The Reds have funds to spend after Philippe Coutinho in a £142m deal from Barcelona in the January transfer window earlier this year. Shaqiri has been sensational at the World Cup with the winner in a 2-1 win over Serbia to help his side reach the round of 16. Liverpool have been linked with a £12m swoop to lure the Switzerland international to Anfield from the Potters in the current transfer market. 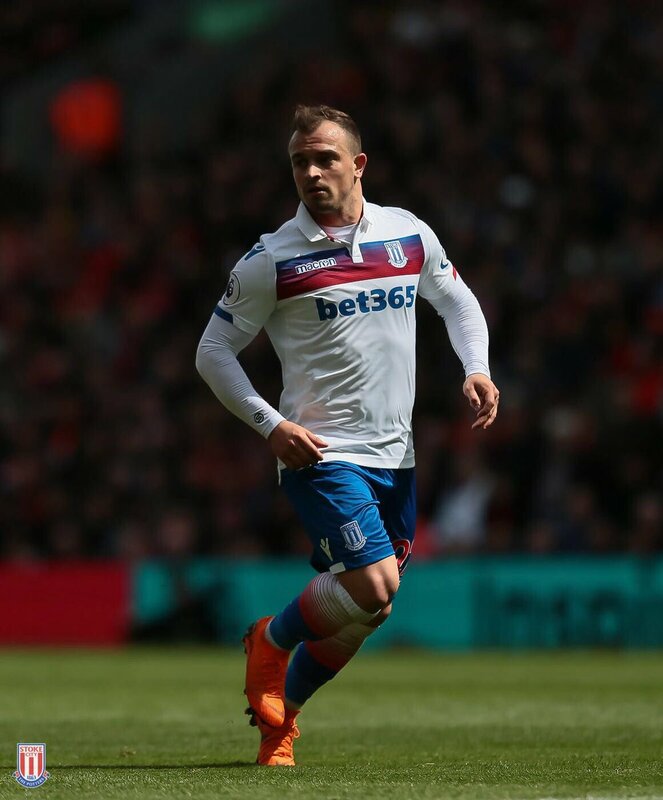 Shaqiri was unable to help Stoke City avoid relegation but the midfielder isn’t expected to remain at the Britannia Stadium. Posted on July 2, 2018 by Sammy Jakes.